/Archive /How to create database user? Question: How to create database user? Answer: You might create new users, only in MySQL database, working with PostrgeSQL is possible only as a user that was registered while the database was being created. 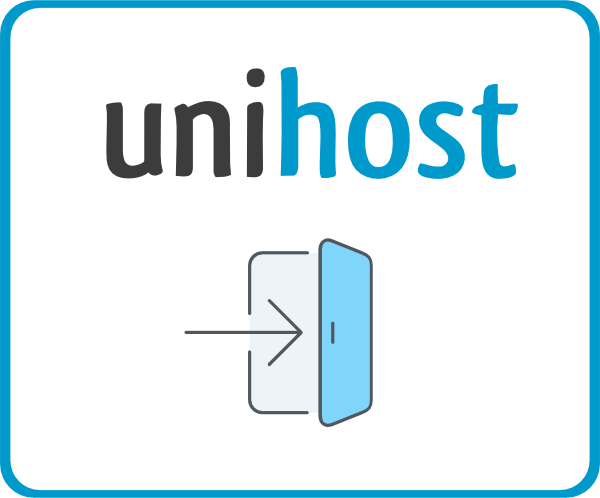 Database user – select an existing database user or add a new user. User name – enter a name for the database user. Password – enter a password to access the database. 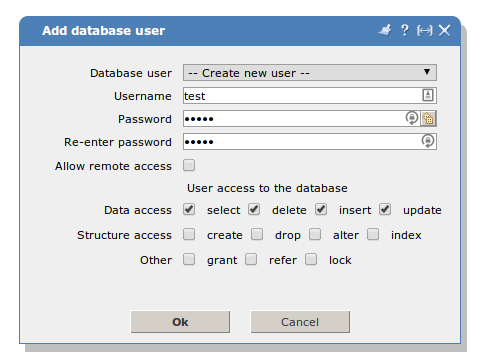 Allow remote access – check the box to allow the user to access the database from a remote computer. If the box is not selected only local access will be allowed. Data access – check the box if you want to grant the database user with privileges to perform read, update and delete operations. Structure access – check the box if you want to grant the database user with privileges to perform database structure modification operations. Other – check the box if you want to grand extra privileges to this database user.